With most of the old guard already retired or on their last legs, aside from Long Run, there is a massive opportunity for one of the star novices of last season to win the 2013 Cheltenham Gold Cup. Sir Des Champs is the most fancied of these given that he is the ante-post favourite at 5/1, but speculation that he will not begin his campaign until December must be considered a big negative towards his chances. Trainer Willie Mullins has earmarked the John Durkan Memorial Chase at Punchestown on December 9th as the date Sir Des Champs will shed his novice tag. This isn’t necessarily a bad move by Mullins, as it was a race won by Kicking King en route to his Cheltenham Gold Cup victory in 2005. However, he had already had a run that season to shake off any summer rust. Mullins may want to consider doing the same as Denman is the only horse in the 11 years, since foot and mouth disease caused the Cheltenham Festival to be abandoned in 2001, to start a season in December and win the Gold Cup. 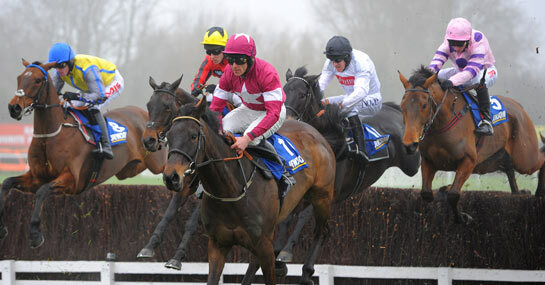 And this race happened to be on December 1st, when he won a Hennessy Gold Cup. Sir Des Champs is unbeaten on all seven starts since joining the Mullins yard from France and his victory in the Jewson Novices’ Chase at the last Cheltenham Festival when quickening smartly after the final fence is the chief reason for his Festival favouritism. He has run once more since, with Mullins taking the opportunity to test the horse has the stamina for a Cheltenham Gold Cup over 3m1f on heavy ground in Ireland. The six-year-old was again a comfortable winner, in what has to be said was an extremely weak-looking Grade One contest.